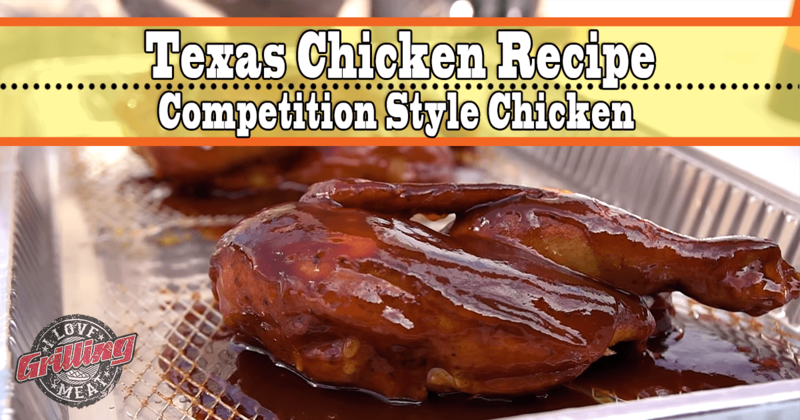 Texans definitely know their BBQ, and this Texas Smoked Chicken recipe is no exception. Be the envy of your neighborhood, or go ahead and win that local BBQ competition with this mouthwatering recipe. Step one, inject the chicken halves with your chicken brine. Then proceed to coat on all sides with your favorite chicken rub – a medium coat will do. (If you want some sweet & spicy action going on on your chicken, check out this Homemade Chicken Rub Recipe. Next up, place the chicken halves on your cooker, and keep an eye out. What you’re looking for is that nice, mahogany color. No need to worry about temperatures at this point, it will come to that later. Get the chicken out of the cooker, an place each half into a roasting pan with 1 stick of unsalted butter and about 15 oz chicken broth. Cover the pan and place it on the cooker. Steam until internal temperature reaches 167ºF. Once you hit that mark, get the chicken halves out of the roasting pans, and sauce them with your sauce of choice. Place them back in the pit for one last time, and allow the sauce to set. Enjoy one of the juiciest, most flavorful chickens you’ve ever had… it’s Texas Smoked Chicken baby!